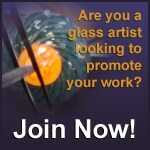 Detroit Glass House is a collaborative project with intent to introduce glass in a new way; providing transparency and accessibility through collaborations and documentation; as well as our own limited edition, single and small run production works. Our current projects use glass in combination with Water Jet Cutting, CNC Mills, Laser cutters, 3D modeling and 3D printing. Modern fabrication processes allow us to advance glass applications for the studio artist as well as provide an interdisciplinary dialogue. 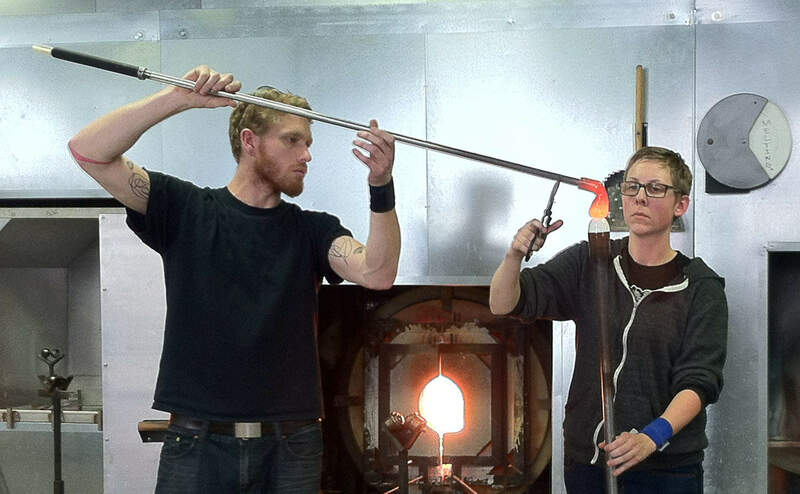 Andrea and Taylor are redefining what it means to be studio artists in the metro-Detroit area. Their studio, a multitude of access points to a variety of technologies, goes beyond a single physical space but centers on a core theoretical aesthetic. Their open sharing of outcome experiences through social media and in one on one presentation are a benefit to all artists. 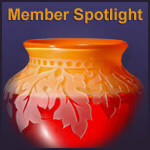 They are currently the featured artists at the Glass 2013, Janice Charach Gallery, JCC-Detroit, West Bloomfield, MI, through May 16. For contact information, visit our profile page.